Sonia Rangel is a joint MPA/MAIR. 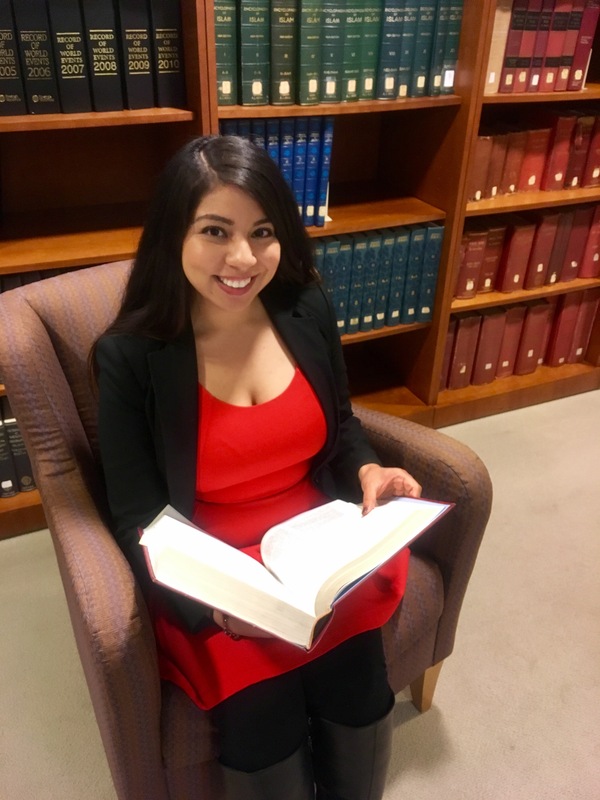 In addition to her Fall Semester in Washington, DC, she interned at Instituto para las Mujeres en la Migración in Mexico City and was part of a team of MPA students who completed a consulting project for Refugee and Immigrant Self Empowerment in Syracuse. 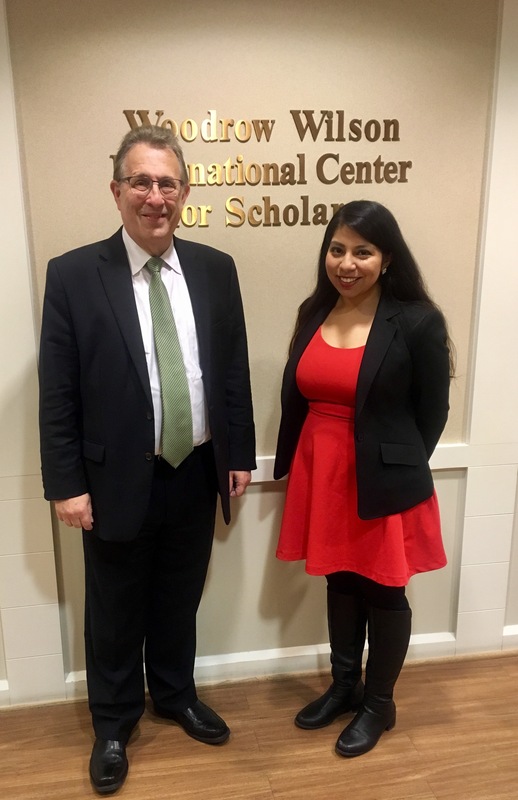 Without a doubt, my internship this Fall Semester at the Woodrow Wilson International Center for Scholars has been a meaningful and wonderful experience. I am a research intern for a Wilson Center Public Policy Fellow and former US Ambassador to Mexico, Earl Anthony Wayne. The internship has been a great opportunity to investigate economic issues and work closely with a former high level diplomat. This has been an exciting experience for me, because it has provided me with the opportunity to learn more about US – Mexico trade relations and economic ties, a vital topic for both countries that was often discussed during this past presidential election. I have developed a more nuanced understanding of the North American Free Trade Agreement (NAFTA) and the benefits it has created for both the US and Mexican economy. In conjunction with the internship, I am enrolled in a Maxwell course on International Trade and Economic Negotiations that has complemented my internship in many ways. The course has allowed me to understand the complexities of a trade negotiation process by which the rules of trade are developed. The research for my internship has exposed me to the effects of trade agreements once they have been implemented. 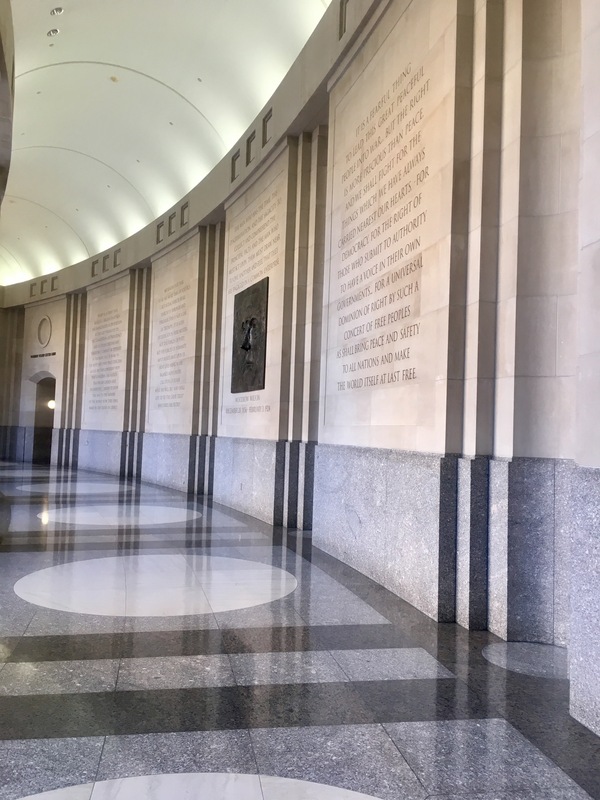 Additionally, it is a privilege to work at the Woodrow Wilson International Center for Scholars, a living memorial for President SummerWilson, the only US President with a doctorate degree, and a place of research for some of the brightest scholars and experts from around the world. The Center’s mission is focused on independent and in-depth research to form policy proposals through open dialogue. During the course of the internship, I have had the opportunity to attend forums and events hosted at the Wilson Center on a wide range of topics such as Brazil-US relations, transatlantic challenges in fighting violent extremism, and national security in Mexico. Furthermore, I work in an open space among other remarkably intelligent research assistants and scholars investigating a multitude of different issues and topics and have acquired knowledge through their research. Working with Ambassador Wayne has been a valuable experience. I have developed a deeper understanding of trade and economic issues through the tasks that I have completed. Likewise, I have also enjoyed learning from his deep knowledge and practical experience. I also admire his high level of intuitiveness and graciousness towards all people. 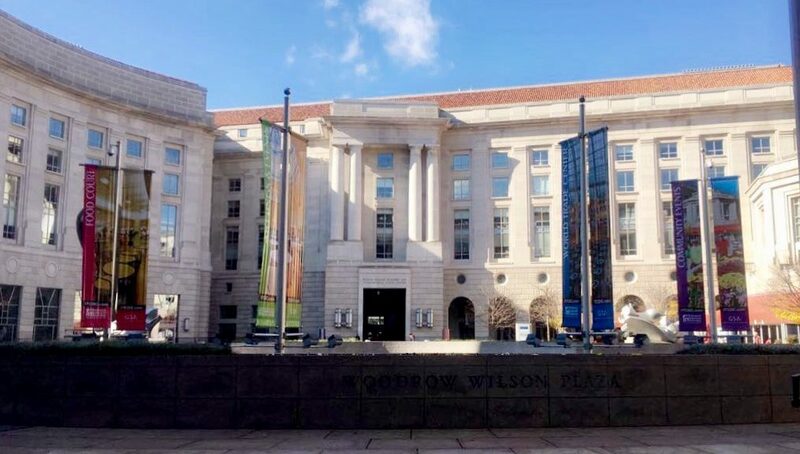 Overall, my experience at the Wilson Center has exceeded my expectations and has led to professional and academic growth. Jack Gall is a recent graduate of the MAIR program who wrote this post while interning during his final Fall Semester. Prior to interning, he also completed a summer course at the Brookhaven National Laboratory on the framework created by the international community to address the threats of nuclear proliferation and nuclear terrorism. He combined this with an independent research project with a Maxwell faculty. 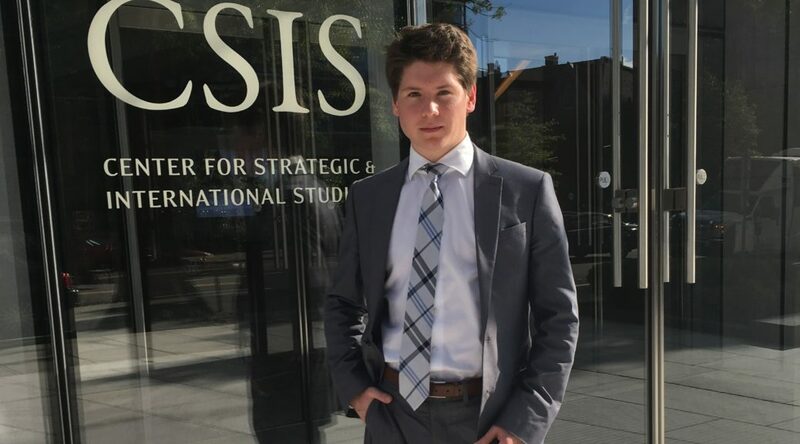 This fall in Washington DC has been a rewarding experience as I have worked as the Center for International Policy’s national security intern during some of the most exciting and turbulent times in our nation’s capital in our nation’s capital in recent history. The Center for International Policy (CIP) is a think tank that promotes transparency, cooperation, and accountability in foreign public policy. CIP was founded shortly after the Vietnam War’s end and has for decades engaged in research and advocacy programs ranging from arms control reform and diplomatic conflict resolution to US security assistance monitoring and environmental protection. The majority of my work has been supporting CIP’s national security program, led by Harry C. Blaney III. 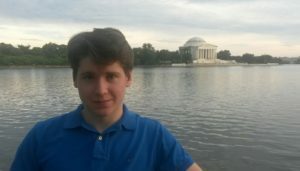 A State Department diplomat of over 20 years, Mr. Blaney runs a blog that covers and commentates on current US foreign policy events called Rethinking National Security. Harry has been an invaluable mentor in analyzing the impact of current events, preparing for my post-graduate plans, and fully appreciating the enriching opportunities Washington DC has to offer (he’s particular to local art galleries and I highly recommend the Phillips Collection). By far the storyline that dominated coverage for the national security program was coverage of the 2016 Presidential Election and the following transition process. My primary responsibilities have been following daily election developments, providing worthwhile quotes, and proofreading and posting regular blog posts. In addition, I have worked to expand the blog’s readership through social media outreach and occasionally wrote posts of my own focusing on my interests such as nuclear security. As an exception to a generational stereotype, I didn’t have much experience with Twitter prior to my internship, so outreach has come with a bit of a learning curve. Outside of working on the blog, my time at CIP also includes front desk duty and occasionally assisting other programs with open-source resource, database correction, and one hectic but memorable envelope-stuffing marathon for fundraising. My fellow interns are passionate about the work they do in promoting CIP’s mission for a peaceful and cooperative world. Overall, my time at the Center for International Policy has provided valuable professional experience in the public policy arena and taught me the importance of being inquisitive, assertive, and understanding in my work. 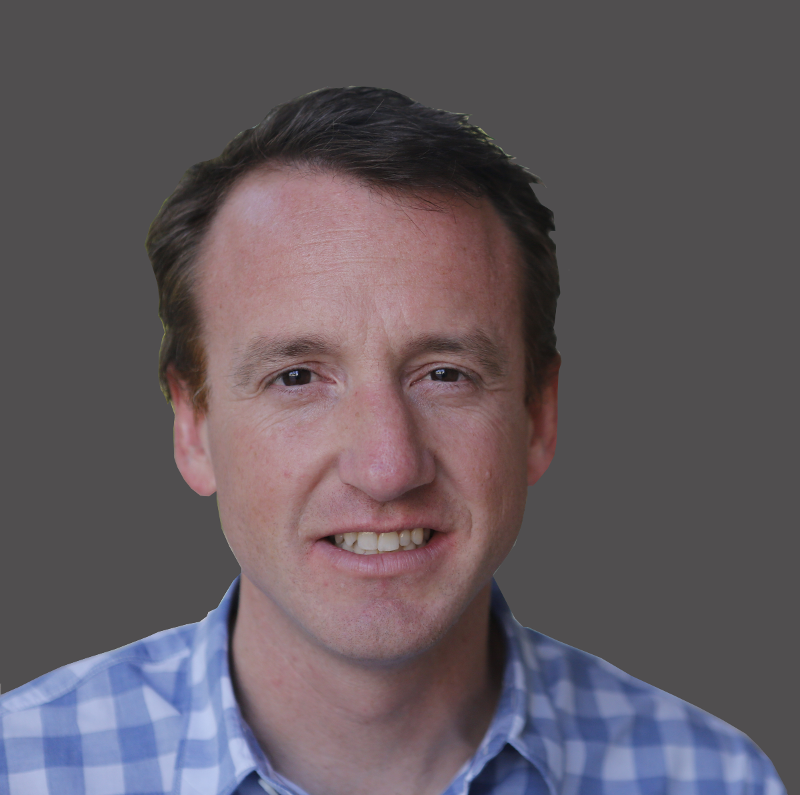 My name is Andrew Sweet and I am an Associate Partner at Dalberg, a global development strategy consulting firm. I am based in Johannesburg, but am often traveling around the world. I had the good fortune of starting my career as a Peace Corps Volunteer. For two-and-a-half years, I served as a Natural Resource Management Volunteer, working with farmers on the Togo-Benin border. It was a life-changing experience and one I look back upon with great memories. I went to Maxwell following the Peace Corps and learned from the greats, such as Catherine Bertini, Peter Castro, and Peg Hermann. It was energizing to learn from people whose careers were highly practical, and who could help structure and deepen my thinking. After Maxwell, I spent a few years at the Center for American Progress (CAP) on the National Security team. 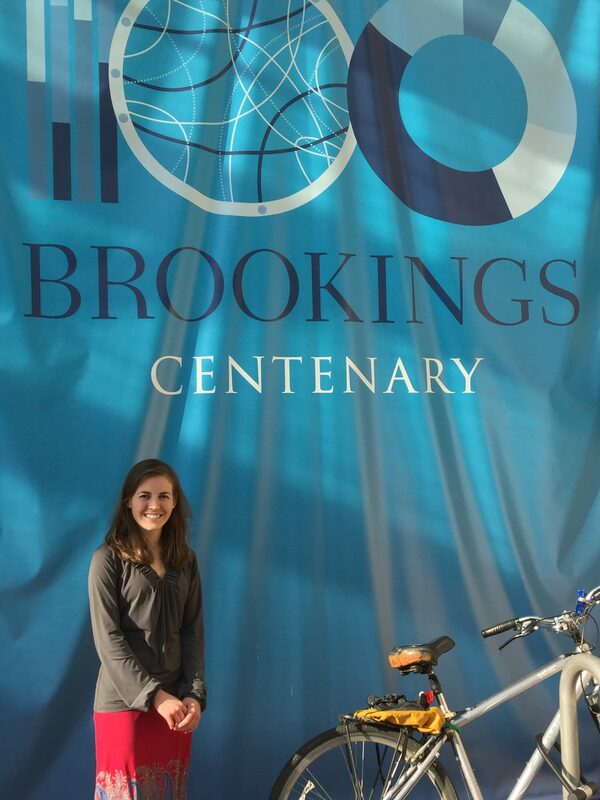 I co-authored a number of publications on the future of U.S. global development policy. At the time, CAP was housing a number of key thinkers for both the Clinton and Obama campaigns. After President Obama was elected, a lot of the CAP National Security team went into the Administration at the White House, State Department, and USAID. I received an appointment at USAID, where I served as a Conflict Advisor for West Africa, focused on Liberia and Cote d’Ivoire. After two years in this role, the USAID Administrator, Dr. Rajiv Shah, asked me to serve as his Senior Advisor. For the nearly three years, I was one of his closest aides, traveling with him on each of his trips, foreign and domestic. In the last year alone, we went to 24 countries. In this capacity, I also helped to establish two major Presidential Initiatives, Power Africa and the New Alliance for Food Security and Nutrition. How did you become a David Rockefeller Fellow, and what is the Trilateral Commission? I was nominated to be a David Rockefeller Fellow by former USAID Administrator and current Rockefeller Foundation President, Dr. Rajiv Shah, and a great mentor and former professor of mine at Maxwell, Catherine Bertini. I have kept in very close contact with both and am fortunate and humbled to have been nominated by them. The Trilateral Commission was established in 1973 to bring together leaders from the private sector to discuss issues of global concern for Europe, North America and Asia. It still includes a range of leaders from the private sector, but also from the public, and social sectors as well as prominent journalists. Members include Henry Kissinger, Madeleine Albright, Michael Bloomberg, David Gergen and Eric Schmidt. Have you had any memorable experiences while working in the field? I love helping put together coalitions of institutions and individuals with the intent of doing something big in global development. To this end, I enjoyed being part of putting together Power Africa and the New Alliance for Food Security and Nutrition. My experience as a Peace Corps Volunteer also helped inform my thinking and grounded my experiences in the reality. One of the highlights from my current work is helping the Bill and Melinda Gates Foundation put together Emergency Operations Centers in West Africa. The goal of this work is to capacitate emergency response workers and help ensure future crises, such as Ebola, can be prevented or better managed. I also have been fortunate to meet and learn from a number of global leaders. I have drawn great inspiration from people like Kofi Annan, Catherine Bertini, and Bill Gates who have all dreamed big and accomplished great things. What advice do you want to give Maxwell students? My advice is to focus and dream big. Global development is too large a field for this to be your specialty. Think about the sector (e.g. energy, health, good governance) and a region of the world you are passionate about, then think and do big things. Develop language skills that are relevant to your passions. Build your networks and learn from leaders to draw inspiration and insights. Be a voracious consumer of information. Travel the world and spend significant amounts of time with people whose lives you are working to improve. 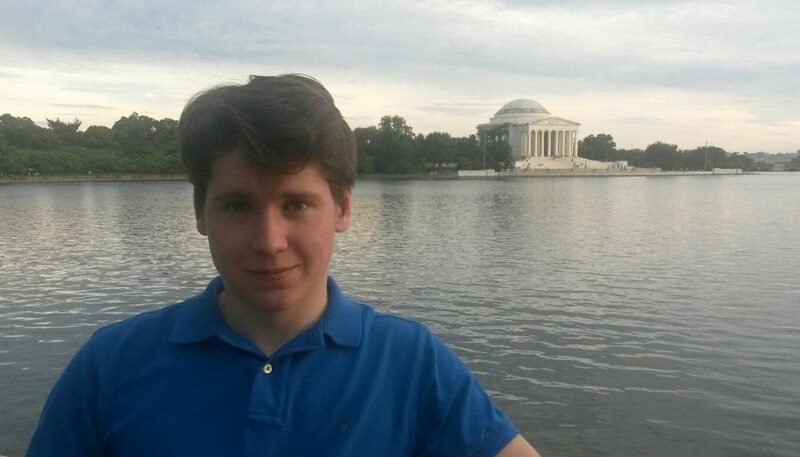 Mikhail Strokan is a MAIR student considering pursuing a PhD. 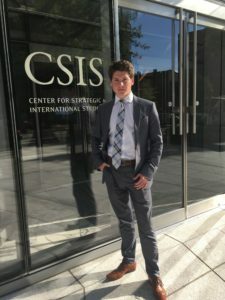 This summer, I interned in the Russia and Eurasia Program at the Center for Strategic and International Studies (CSIS), based in Washington, DC. CSIS is one of the world’s leading think-tanks, dedicated to providing strategic insights and policy solutions to help decision‑makers chart a course “toward a better world.” Established over 50 years ago, the Center for Strategic and International Studies is a bipartisan, nonprofit policy research organization. CSIS’s audience encompasses people of all professions with an interest in foreign policy, international relations, military issues, world and regional cultures, etc. In particular, the Russia and Eurasia program (REP) targets two broader audiences: English-speakers and Russian-speakers. 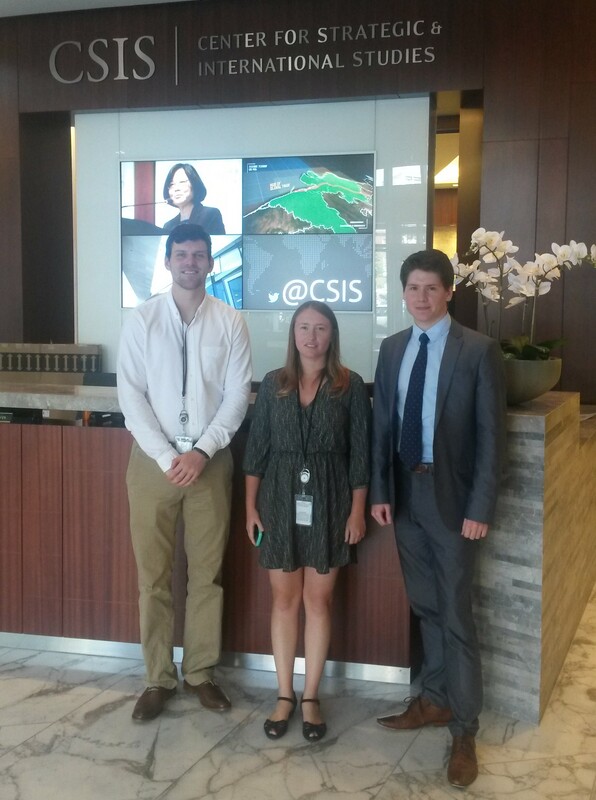 These three months of working at CSIS gave me important insight into how global think‑tanks are structured and run. I was able to meet and work with America’s leading experts in the fields of Russian and Eurasian studies, nuclear proliferation, nationalism, etc. Just as importantly, I met brilliant fellow interns representing other U.S. universities. They contributed to a very friendly and helpful environment, which helped me to survive the hectic and busy schedule of a research intern. They served as an amazing example of how people may be passionate about the work they are doing, and by the end of three intense months working together, we became good friends. Besides work, I was able to participate in many outdoor events including celebrating my first Independence Day in the U.S.A. I was so lucky to have been in D.C. for this holiday! Due to heavy rain on that day, the National Mall was much less crowded than it usually is during such events. I had a front-row seat to the nation’s most impressive fireworks show. The summer Maxwell course with Michael O’Hanlon, a very engaging professor and an expert at the Brookings Institution, enabled me to dive deeper into broader geostrategic issues while discussing the ultimate question of who will eventually come to rule this century. 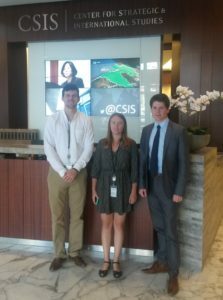 Even though combining classwork and internship-related work was difficult, thanks to the Maxwell‑CSIS partnership, I was able to attend the course in the same building in which I worked without spending an inordinate amount of time on commuting across the city. Deborah Baldwin is a recent graduate of the Public Diplomacy program. She earned a joint Master of Arts in International Relations and a Master of Science in Public Relations from the prestigious Maxwell and Newhouse schools. From introducing me to new tools and software, giving me opportunities to perform and learn more about research, and allowing me to gain hands-on experience in engaging with their target audience, The Brookings Institution’s communications department provided me with an unforgettable internship experience. 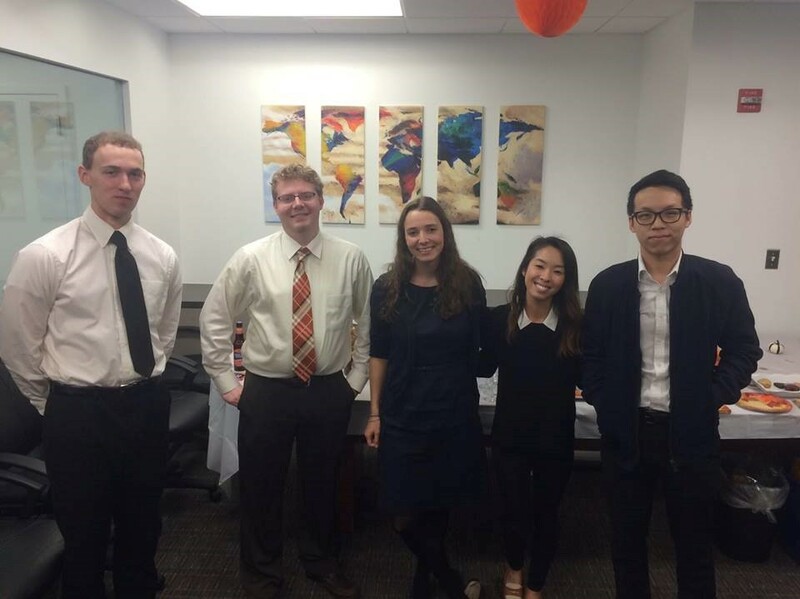 I interned this past spring semester with the organization’s social media team, which was a great experience for me being a Public Diplomacy student with an interest in research. I got to not only read much of the great research published by the institution, but I also had the opportunity to learn how to best market it to their online public audiences through tweets, Facebook posts and Medium. I would then gauge how the audience interacted to it. In addition to learning how to market others’ research, I got to perform some of my own, writing reports to help determine the direction of the department’s iTunes U channel and giving recommendations on whether and how they should engage with their public over Snapchat. 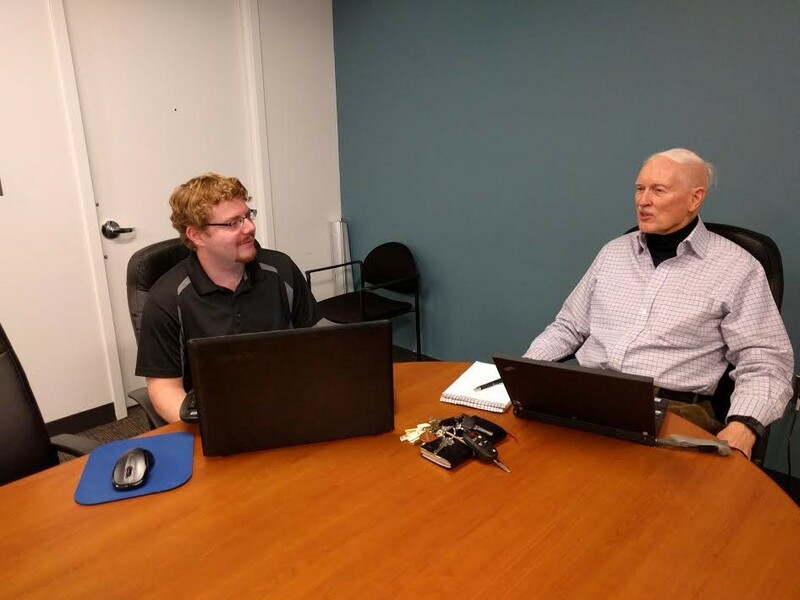 The communications department was also open to letting interns get involved in other areas and meet people working outside of their own teams. When the events intern took a new job and left, I filled in for him, checking in guests at the events, helping facilitate discussions with panelists (one of whom was Deputy Secretary of State Anthony Blinken), and learning to use attendance tracking tools to add to my resume. I also made some really great friends with whom to try out the local restaurants. Brookings has some awesome perks, including a great cafeteria with a specialty coffee machine, a library that not only allows interns to check out an unlimited number of books for up to four weeks, but is also staffed with the sweetest librarians you’ll ever meet and a bookshelf of giveaway books, and events that are free and open to the public. I frequented all of these things, especially the coffee machine. Not only did I see Anthony Blinken at a Brookings event, but I also got to see Gayle Smith, executive director of USAID, along with Justice Stephen Breyer, Turkish President Erdogan, and Sen. John McCain. I even got to see what may have been the largest protest in the history of The Brookings Institution, conducted by Amnesty International when President Erdogan came. From a public relations perspective, it was a good experience to see how an audience might react to a decision made by your organization with which they might not agree, so I got to take advantage of a learning opportunity by going outside and talking to protestors. 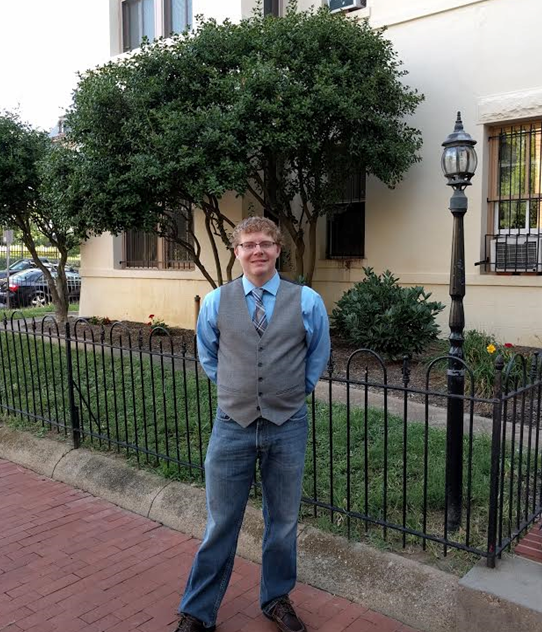 This internship allowed me to gain experience in digital communications and relationship building with organizational public audiences while also giving me insight into writing research and helping me to make new contacts in the policy sector. I especially enjoyed getting to know the faces behind the Brookings social media accounts, the YouTube channels and the Brookings Cafeteria Podcast, as well as some of the researchers of the number one research institution in the world. 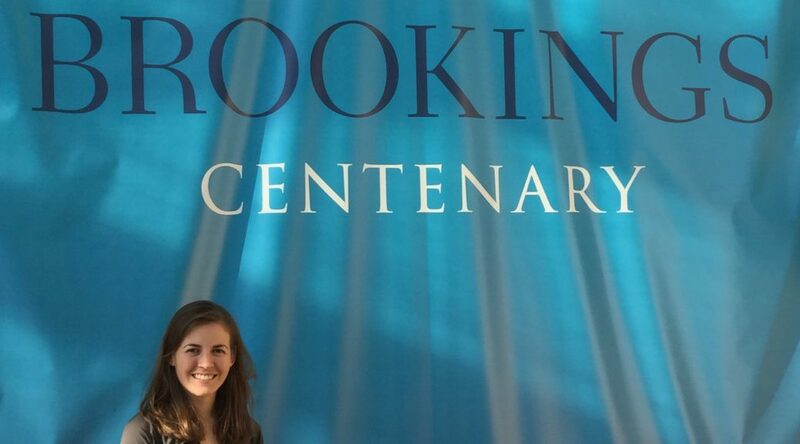 Deborah Baldwin at The Brookings Institution.